"Motivation is important because of its significance as a determinant of performance and because of its intangible character"
Is it possible to really be effective at motivating people? Although most people are motivated to some degree, the question is not simple. The challenge lies in assisting them to take the motivation through a series of steps that lead to action which leads to the accomplishment of what they wanted. Essentially the equation begins with Interest leading to the identification of a specific want. Once you specifically know what you Want, then comes the step of figuring out How you will take action. Once you have some idea of the Action you will take, then the Motivation seems realistic since it is no longer just an idea, but in fact an achievable objective which has a consequence. "assumed that economic gain was everyone's primary motivation"
"He believed that management knew more about the jobs being performed than the workers"
satisfaction and dissatisfaction are not necessarily at opposite ends !! Physiological needs. Biological necessities such as food, water, and oxygen. These needs are the strongest because a person would die if they were not met. Safety needs. People feel unsafe during emergencies or times of disorder like rioting. Children more commonly have this need met when they feel afraid. Love and belonging needs. The need to escape loneliness and alienation, to give and receive love, and a sense of belonging. Esteem needs. The need to feel valuable; to have self-respect and the respect of others. If a person does not fulfil these needs, they feel inferior, weak, helpless, and worthless. Self-actualization needs. 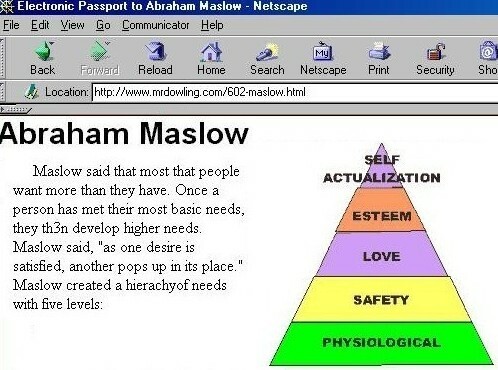 Maslow taught that a very small group of people reach a level called self-actualization, where all of their needs are met. 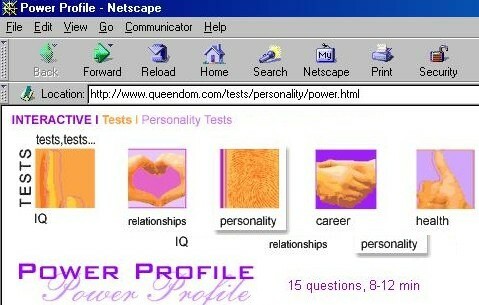 Maslow described self-actualization as a person's finding their "calling." He said, "a musician must make music, an artist must paint, and a poet must write."
. 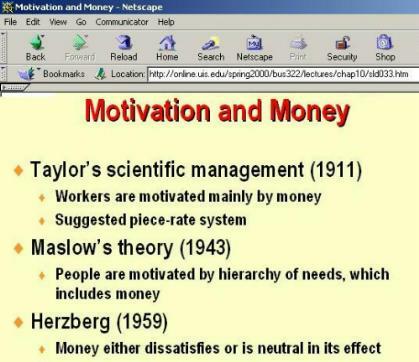 The reason why we look at the historical perspectives on Motivation is that in some cases, companies today in 2001 still use some of these methods because the senior management have outdated perspectives. 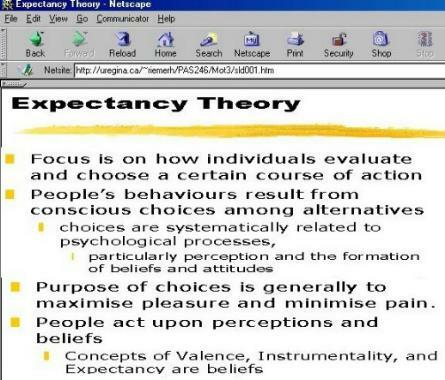 and how likely we think we are to get it"
"Expectancy Theory" is discussed in many business courses. people want to get paid fairly for working for the same amount as others who have the same level of experience and skill. "... behaviour that results in rewarding consequences is likely to be repeated". "... bringing managers and workers together as partners"
emphasis on the relationship between workers and bosses "we're all in this together"
"Company employees (and their representatives, the unions) have a strong interest in the survival and growth of their company, and agree in principle with the managers on such matters as distribution of profits, levels of output, and employment." "the formal and informal mechanisms by which employee performance is defined, evaluated and rewarded"
Empowerment is mentioned briefly in the text on the bottom of page 457 - but it deserves to have more discussion.
. Empowerment is a very important thing which Managers in the "New Economy" recognize is key to motivating people in a highly competitive workplace environment. "In today's organisations, increasing attention is being given to employee empowerment. Empowerment is the process of giving people more scope or 'power' to exercise control over, and take responsibility for, their work. The responsibility for decision-making is pushed down the hierarchy so that those who do the task make the decisions about the task." "Empowerment exists in an organisation when lower level employees feel that they are expected to exercise initiative in good faith on behalf of the mission even if it goes outside the bounds of their normal responsibilities; and if their initiative should lead to a mistake - even a serious one - they trust that they will not be arbitrarily penalized for having taken that initiative." 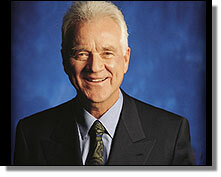 Frank Stronach is the founder and Chairman of Magna International Inc. The textbook for BUS 203 has an online companion website - at which you can find all kinds of interesting stuff. The concept of Power is introduced on pages 469-472. Take this test (which is linked to the site from the publisher of the BUS 203 text) which will evaluate the extent to which you seek power and status. The Leadership Grid® provides a framework for understanding types of leadership. "The Leadership Grid was developed over 30 years ago by two behavioral scientists, Drs.Blake and Mouton. It has been the most extensively used management and leadership development program, throughout the world. 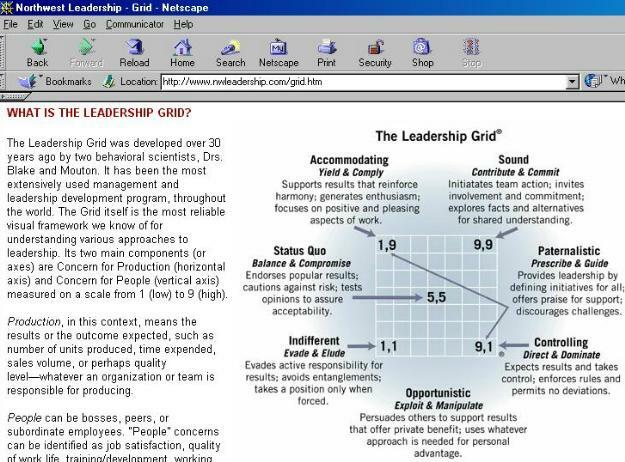 The Grid itself is the most reliable visual framework we know of for understanding various approaches to leadership." "While there are numerous ways of looking at the relationship between Production and People concerns, the Grid identifies seven major theories about how people exercise leadership in the pursuit of organizational objectives with and through others, and how each of the seven theories affects productivity. It allows people to see the differences and similarities among them, to identify the strengths and weaknesses of each style, and to develop conclusions regarding sound and unsound ways of leading."